Comedy Writers for SPIDER-MAN Movie? The news on the street ia that John Francis Daley and Jonathan M. Goldstein will be writing the upcoming Marvel/Sony production of Spider-Man. I say 'eh' because these are the guys behind the newest Vacation comedy film coming out soon. 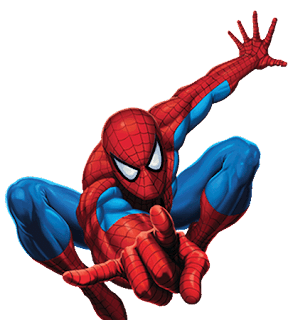 They're treating Spider-Man as a geek with superpowers, who deals with his situation via his humor. Tom Holland will be playing Spider-Man, and when you go back to look up this pair's resume, Francis has directed some short films and written a few things like Horrible Bosses and The Incredible Burt Wonderstone. You may know the guy, since he played Dr. Lance Sweets on Bones. Goldstein also wrote the Horrible Bosses movies with Francis, as well as Burt Wonderstone. Goldstein does have some production creds to his name, with $#*! My Dad Says, The New Adventures of Old Christine, and Four Kings. I'm hoping someone knows what the bloody heck they're doing in picking these two whose resumes include more comedy than action. Well, they can't do any worse than if Sony was producing the film. Right!? This new Spider-Man flick will be coming out in July of 2017. Or at least that's when it is slated to release, at this point in time.